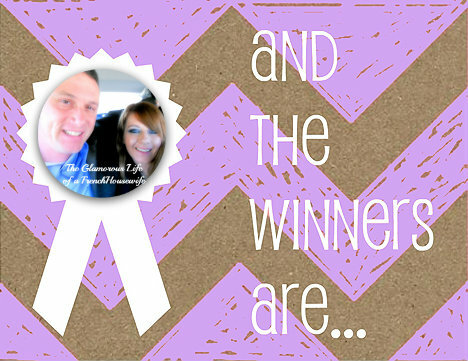 The winners who will be receiving the New Laundry System.. shown below are!!! I don't think either of these girls are bloggers... but I will find out for sure and if they do I will put a link back to their site.. Congratulations! Please remember there will be 3 separate boxes will be coming your way! I wish it could all come in at the same time but that's just not possible with this giveaway. Also.. you have 48 hours to respond to the email otherwise I will have to pick other winners. You can find me on all my social media and I will be sending out a email. And here are the youtube winners! I will be sending out a mass email for addresses. If you see your name on this list feel free to email me at mrskishajaggers@gmail.com with your shipping information. As you can see I have a ton of things to send out.. I even made a excel sheet so I can keep it all straight. I should have the email out tonight or tomorrow morning. But again don't just hit reply because everyone will see your address. Just open a new email and send it so it stays private. Thank you everyone for participating. I wish I could give everyone who entered a prize... but just try again on the next giveaway!